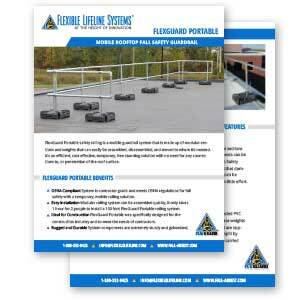 FlexGuard Portable safety railing is a mobile guardrail system that is made up of modular sections and weights that can easily be assembled, disassembled, and moved to where it’s needed. 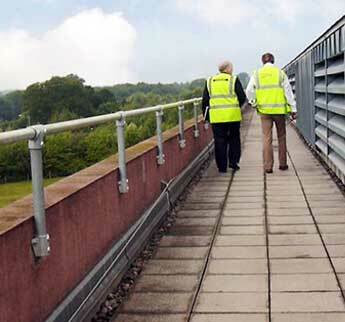 It’s an efficient and cost effective solution when a safety railing system is needed temporarily. 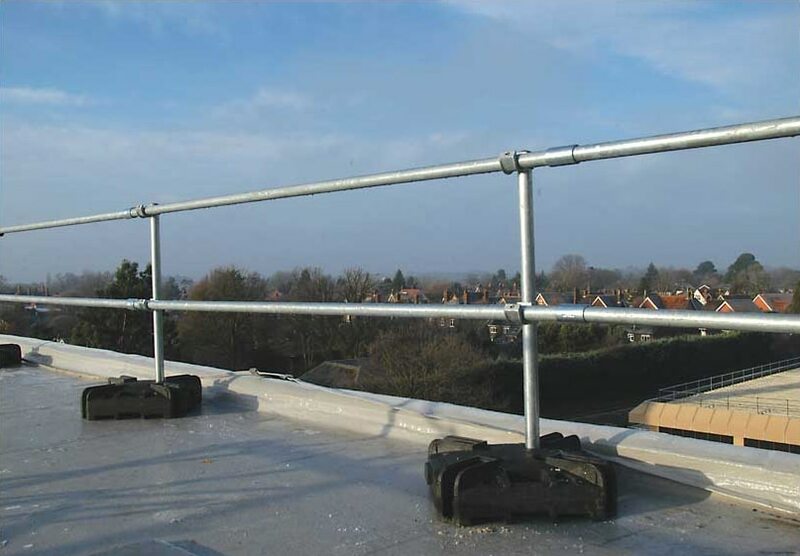 The system is free standing with no need for any connections to, or penetration of the roof surface. 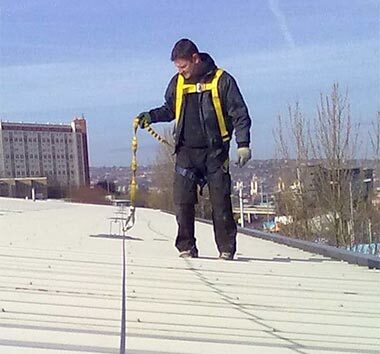 FlexGuard Portable is contractor grade and designed to meet OSHA construction industry standards which are slightly different from OSHA’s general industry regulations. 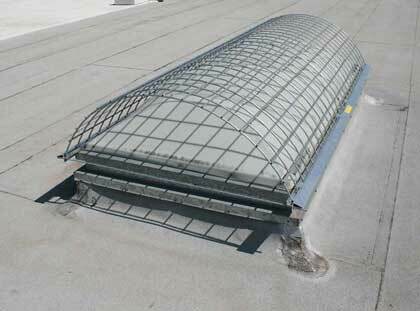 FlexGuard Portable uprights are held in place by steel galvanized collars and set screws. 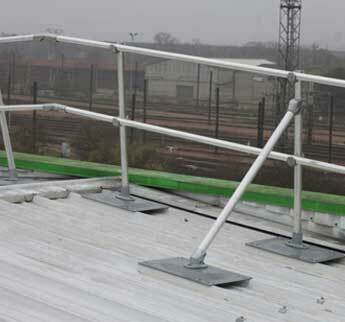 The system is sturdy like permanent railing, but can easily be adjusted or moved when necessary. 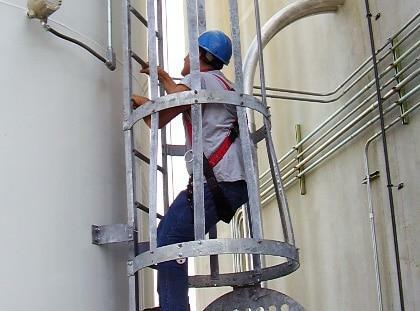 Only a standard torque wrench or hex key is required for assembly or disassembly. 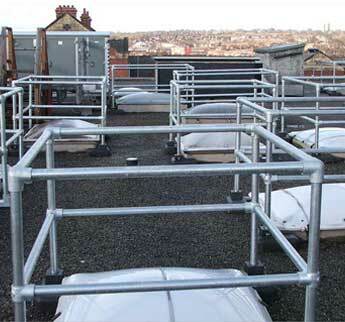 Railing and system components are galvanized for extra durability and to protect against rust. 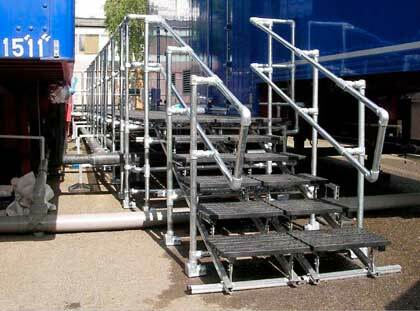 The modular railing system comes in 10 foot sections with 5 foot return sections. 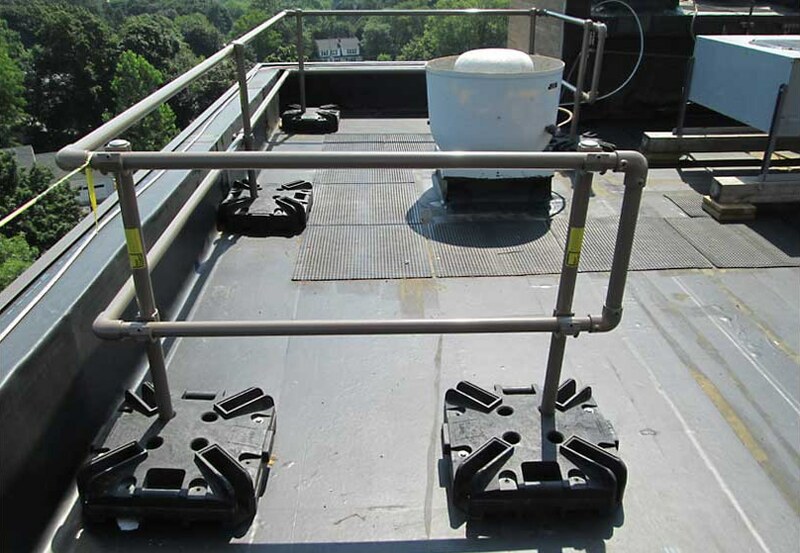 The horizontal railing and 42″ vertical uprights that make up each railing section are made from Schedule 40 pipes. 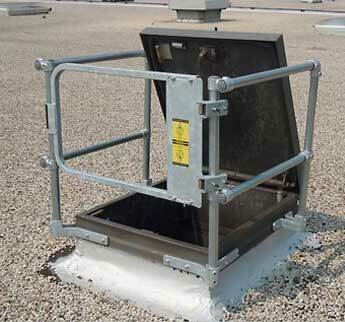 System components can be powder coating over the galvanized finish in Safety Yellow as an additional option. 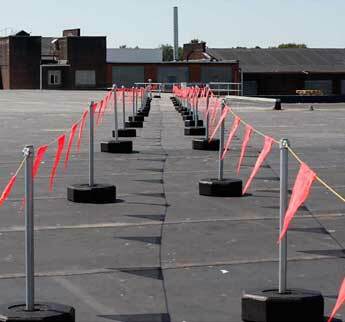 The system’s base weights are made of recycled PVC and weigh a minimum of 90 pounds. 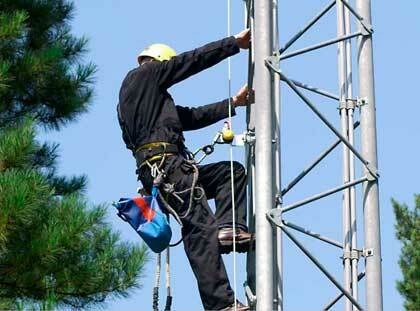 The base weights are made up of two interlocking halves, and are supplied assembled. 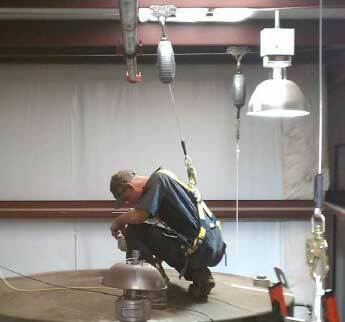 The weights can be easily split by removing two bolts allowing each half to be carried by a single person. 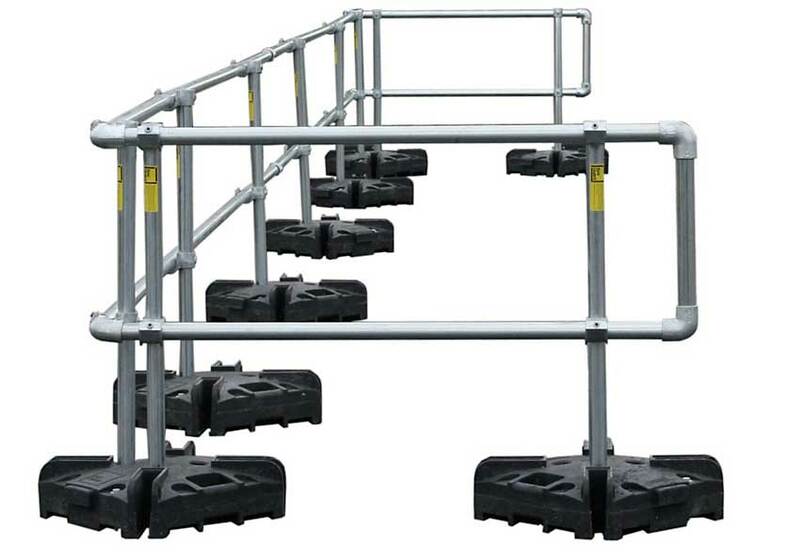 The base weights incorporate comfortable carrying handles allowing two people the option to carry a complete base weight. 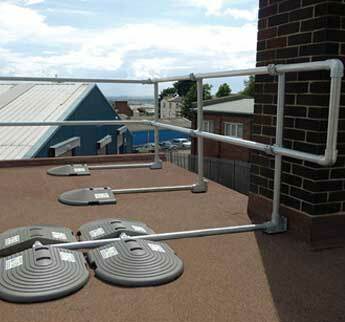 The system base is also designed to accommodate an optional timber toeboard if needed. 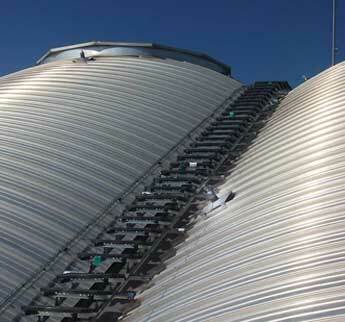 FlexGuard Portable was specifically designed for the construction industry and to meet the needs of contractors. 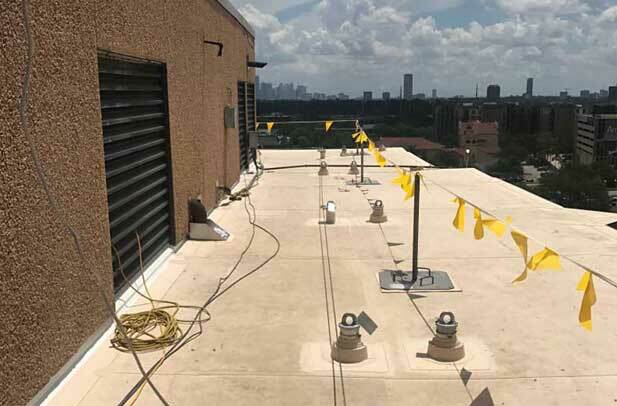 The portable railing system can deployed in conjunction with the FlexLine Warning Line System to designate a rooftop perimeter that meets safety standards for large roofing jobs. 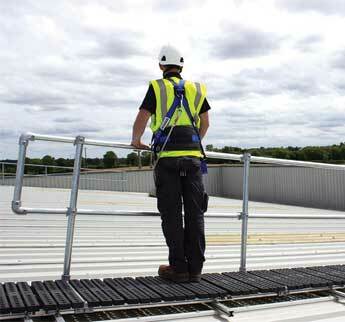 Railing in the construction industry can take a lot of abuse. 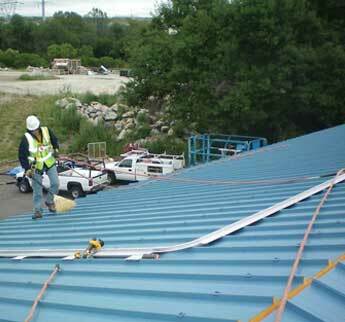 FlexGuard Portable’s components are galvanized and extremely durable. 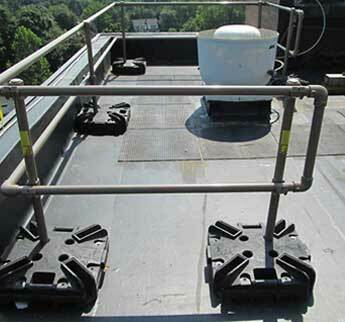 In the event that damage does occur, the individual components of the FlexGuard Portable railing system are relatively low-cost and components of the system can be replaced with another standard section with little effort.